Do you love ladybugs as much as we do? 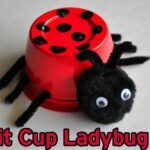 Spring is a perfect time to make ladybug crafts and learn all about bugs since they are all starting to emerge with the temperatures getting warmer. 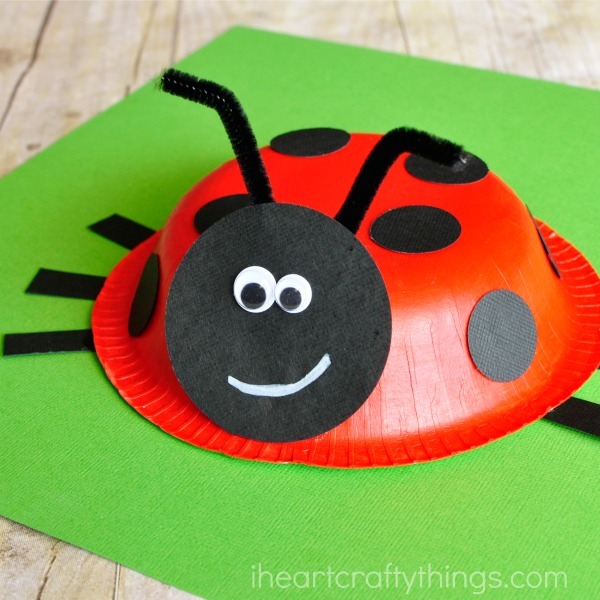 Kids are sure to love this paper bowl ladybug craft that we are sharing with you today. It is super duper cute, all 360 degrees of it, and it’s pretty simple to make! 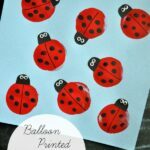 So go grab some supplies and get ready for some fun spring ladybug crafting! 1. Start by painting the bottom of your paper bowl with your red acrylic paint. Set it aside to dry completely. 2. 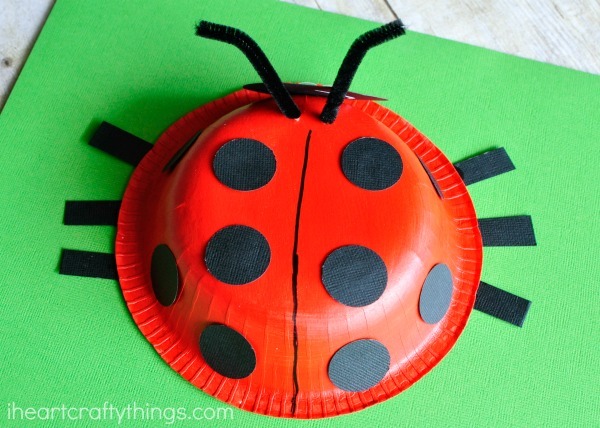 While your paper bowl dries, cut out a 2 1/2-inch black circle for your ladybug head, several 1-inch black circles for ladybug spots, and six black ladybug legs. Also, cut your black pipe cleaner in half. 3. When your paint is finished drying, draw a line down the middle of your bowl to separate the ladybug wings. 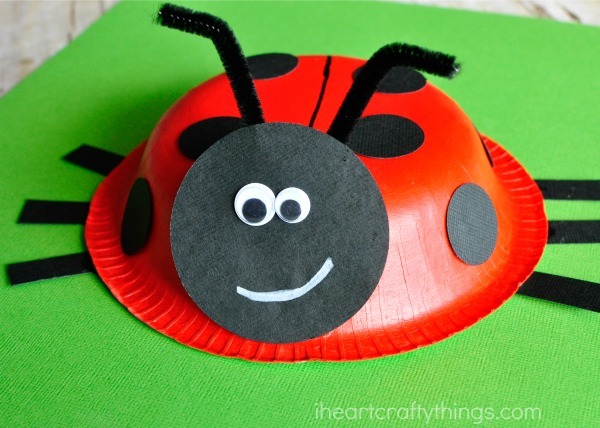 Glue your black spots onto your ladybug wings and around your paper bowl. Poke two small holes in the bowl (where you want to put your antennae) and thread your black pipe cleaner in one hole and out the other. Bend them together and bend the ends to make antennae. 4. 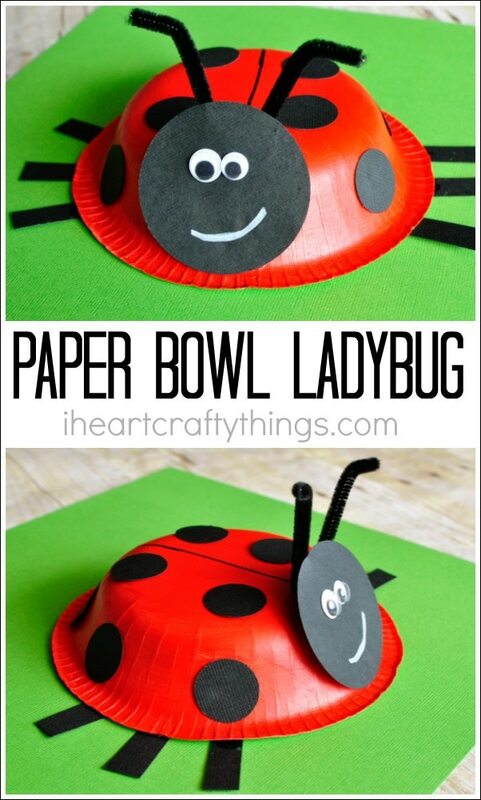 Glue your ladybug legs under the outside rim of the paper bowl. Then glue your 2 1/2-inch black circle in front of your antennae for the ladybug face. 5. 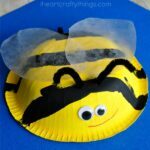 Finish your paper bowl ladybug craft by gluing on your googly eyes and drawing on a smile with your white chalk marker or a white crayon. The Lady bug project was a lot of fun for the kids they really enjoy it.